Individual leases T3 cozy luxury, renovated, 50m2, functional, in a historical building, near the covered market in Cahors center and all amenities. 2 double bedrooms, 1 living room with exposed bricks and old fireplace closed. Television LCD 107cm, Canal +, wifi unlimited orange. Small kitchen with fridge, dishwasher, microwave, induction hob, Senseo. 1 bathroom with shower, washing machine, toilet, hairdryer, iron. 1 balcony overlooking a wooded site overlooking the market on Wednesday and Saturday morning. 1 terrace of 15m2 with plancha, parasol, table and 6 chairs. duvets, pillows and pillowcases provided. A deposit of 500 euros will be required and returned at the end of the stay. Fantastic location in the heart of the old city. Stepped outside front door into the famous Cahors Markets, restaurants, andshops. Tourist office, bus stops and everything you could need a minutes walk. Apartment was spotlessly clean, modern facilities in petite bathroom/laundry and kitchen. The beds were very comfortable and it was all housed with a quirky back entrance to the building built in 1622. Owner responded promptly to emails and a family member gave us an introduction to the apartment. Would definitely recommend this apartment. 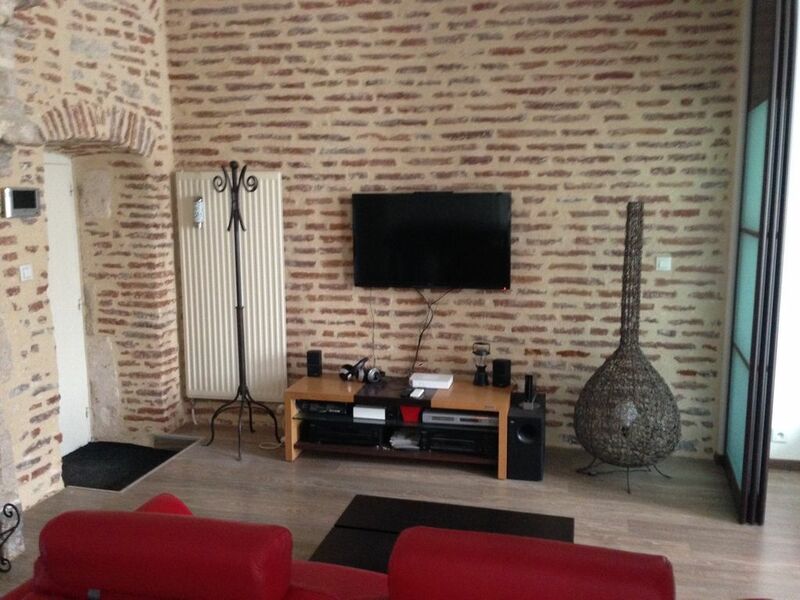 We were lucky to find a great little apartment right on the market square in the centre of Cahors. It was a short walk to anything you want to see in Cahors as well as being right in the midst of the restaurant and retail centre. Jose met us, helped bring our bags up and gave us all the info we needed to be able to make the most of our stay. The apartment was compact but very well laid out to maximise the space. We loved Cahors, and staying in this apartment really helped us enjoy our stay. Well appointed, small but fully functioning kitchen; sharp knives. This was the right place for me to spend a month! très bien placé au centre médiéval . Appartement très bien situé au centre de Cahors dans un immeuble plein de charme, proche de toutes les commodités (Halles de marché, restaurants, etc.) et très bien équipé. Propriétaires très charmants et serviables ; une très bonne expérience pour découvrir le Lot ! Please refer to Cahors tourist office for different activities and information.